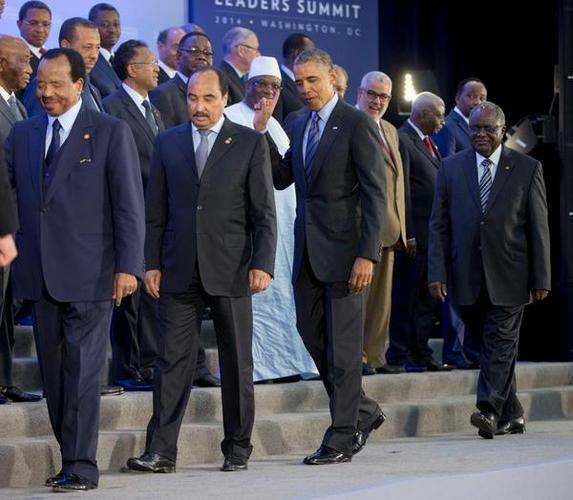 Be on the lookout for these jihadi gang signs — 1389 Blog - Counterjihad! There is a new Islamist symbol appearing in protests, on social networking sites and at demonstrations throughout the Middle East. The symbol allegedly originated as a four-fingered hand sign by pro-Morsi protesters during demonstrations in Egypt’s Rabia al-Adawiya Square. The hand gesture quickly evolved into an image of the hand commonly depicted in black on a bright yellow background. 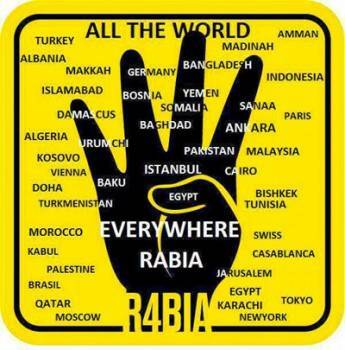 It is called the “R4BIA sign.” In English it is officially spelled in capital letters and the letter “A” is replaced with the number 4. It has become the symbol of the massacre of pro-Morsi supporters in Rabia al-Adawiya Square on August 14, 2013. This new sign already has its own history, legend and mysticism and it contains all the attributes that Islamists favor in their symbology, particularly martyrdom.